Location: 250 metres on a bearing of 30° from the cross roads near the chimney. The initials refer to the Duke of Devonshire. 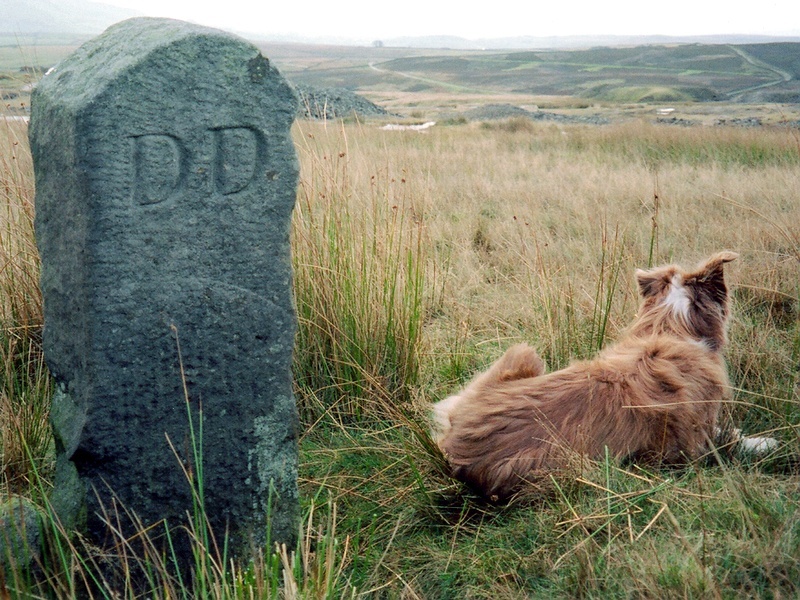 The Duke owned his own mines, as well as owning the mineral rights on the moor. In the latter capacity, he was responsible for the development of much of the industrial infrastructure on the moor.